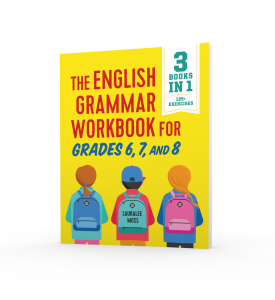 Teaching grammar naturally fits into everyday language arts lessons. Many standards mandate that students study grammar. It may sound odd, but grammar is reinventing itself. If you are a teacher and you aren’t sure where to begin, here are some basics. It may be intimidating to teach grammar if you didn’t study it as a student, or if you have never taught it as a teacher. 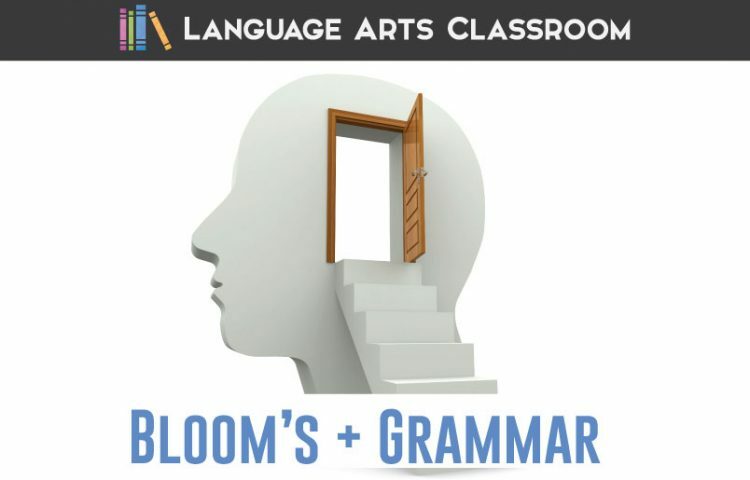 Sometimes returning to the basics, like using Bloom’s Taxonomy, can lead students to appreciate grammar or at least allow you to start teaching with the fundamentals. Acknowledge that students already possess knowledge of grammar even though they may not know it. 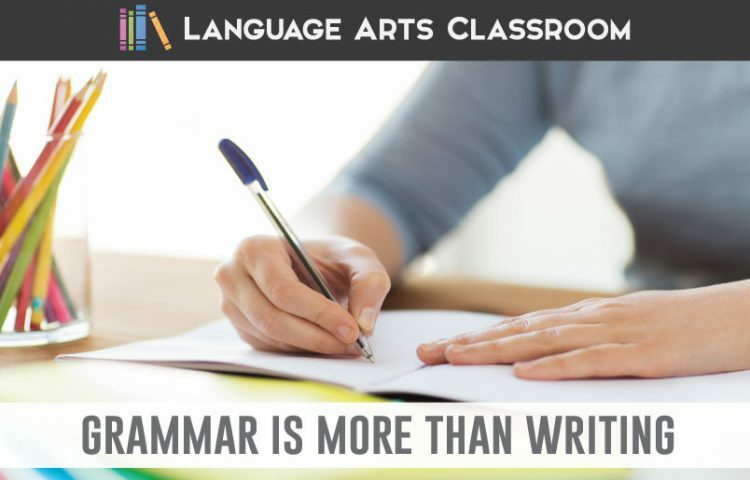 Students who read and write have an understanding of English grammar, such as parts of speech and parts of a sentence. 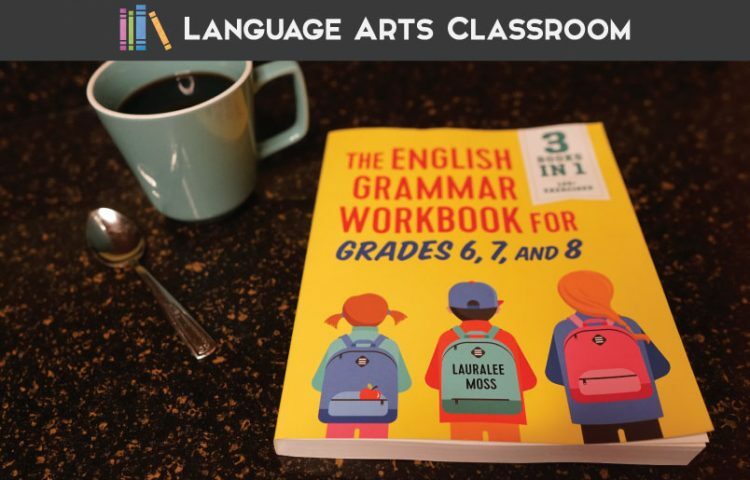 Start with the basics, and show students examples of words that describe, words that are objects or people, and words that show action from within their textbooks and their writing. I address this first layer with simple posters. You could also make anchor charts and ask students to reference those terms or lists. Be sure that you and your students share the same vocabulary with grammatical terms. You may need to complete a pretest and then review parts of a sentence or parts of speech with students. Later as you reach more difficult levels of Bloom’s, you’ll be glad you share terminology. At this level, student should be able to recognize the terms, and a perfect opportunity to show their understanding is to add to the original posters. Have students add examples for each part of speech to display in the classroom display. Another way is to give each student a sticky note and have them add examples underneath the posters. After students understand the terms, apply them to their reading by pointing out examples. (Continue doing this with other concepts.) You might check that students understand different and often confusing concepts, such as action and linking verbs. Apply terms to sentence structures and examine where basic sentence parts fall. Explain that parts of speech are used in different parts of a sentence. For example, a noun can be in the subject, direct object, predicate word, indirect object or object of a preposition position. Build these ideas naturally, as the class sees them while reading. Students understand complex topics like grammar better when ideas are taught in context. Understanding the details of language empowers people! Apply the knowledge of types of sentences (for example) with student writing. Ask students to determine what effect each sentence type brings to their papers. Show how punctuation rules work to make a text easier to read. Explain punctuation within quotation marks. Demonstrate the different uses for a semicolon. Analyze situations that provide contradictions and exceptions to rules. For instance, discuss commas and their tricks. Look at the debate over serial commas. Show students that grammar has leeway, and some ideas are debatable. Language constantly evolves and changes. This change is evident with the discussion over the singular use of “they.” Review indefinite pronouns with students, and let them analyze (TONS of arguments exist online) and decide if this is simply language evolving or a mistake. 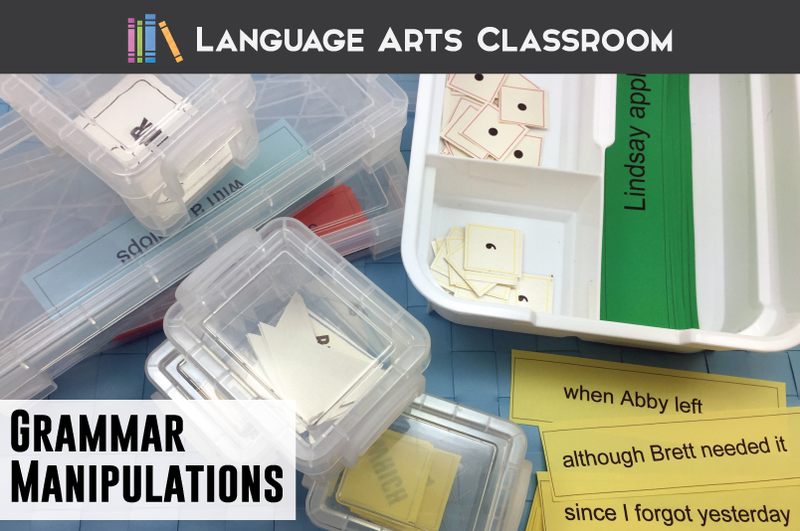 Students will differentiate between different grammatical parts, and tear apart sentences to decide which sub-types these parts are. You may need to return to memorizing charts as students’ knowledge of grammar progresses. For instance, students may recognize a word as a pronoun, but they will need to learn the difference between subjective, nominative and objective pronouns as well as the singular and plural form of each. Knowing the type of pronoun will aid in understanding proper pronoun use, such as using the objective form for the object of a preposition. Again, reference those beginning posters. My favorite way to evaluate and create is with grammar manipulatives. Students hold language in their hands and follow different rules for using punctuation. They create sentences and evaluate the use of different conjunctions, locations of phrases, and use of verbs. As you continue teaching grammar, students will recognize that grammatical formations differ enough to have different names. Begin adding more difficult grammatical sub-parts (such as verbals) as students show the ability to evaluate the basics and make informed decisions concerning syntax. Review the eight parts of speech as necessary and continue explaining grammar in all forms of communication. Language arts classes too often lack the actual teaching grammar part of instruction. 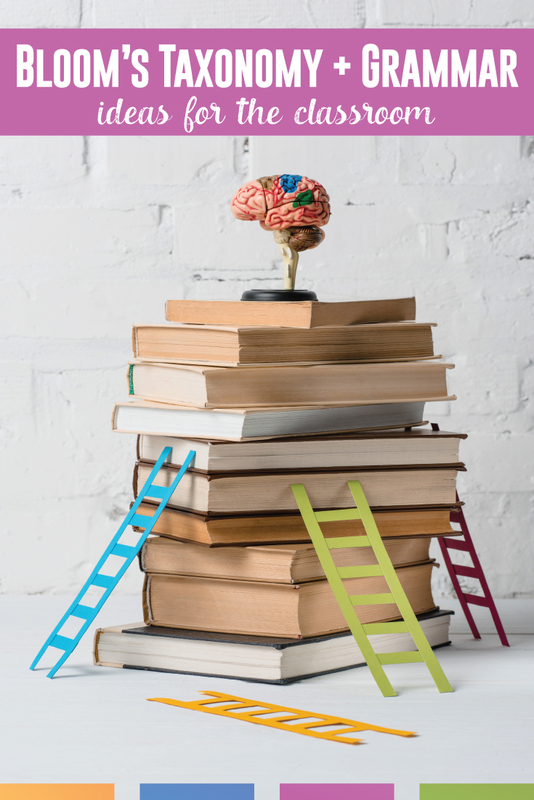 Knowing the foundation of a language provides learning opportunities beyond schoolwork. Grammar should not be taught as an individual unit of instruction. Instead, teach it every day so students realize it is part of their language, and that they DO understand it. I hope this gave you some basics to incorporating grammar into your classroom. Grammar is my passion, and I hope this gives you a starting point with your classroom instruction. Please let me know if you used these ideas at all! I love to read real-classroom stories. I’m relatively new to the teaching profession. I am finding ways to improve teaching grammar and as part of my PD course i came across Bloom’s taxonomy. I found it quite confusing on how to incorporate it while teaching grammar. 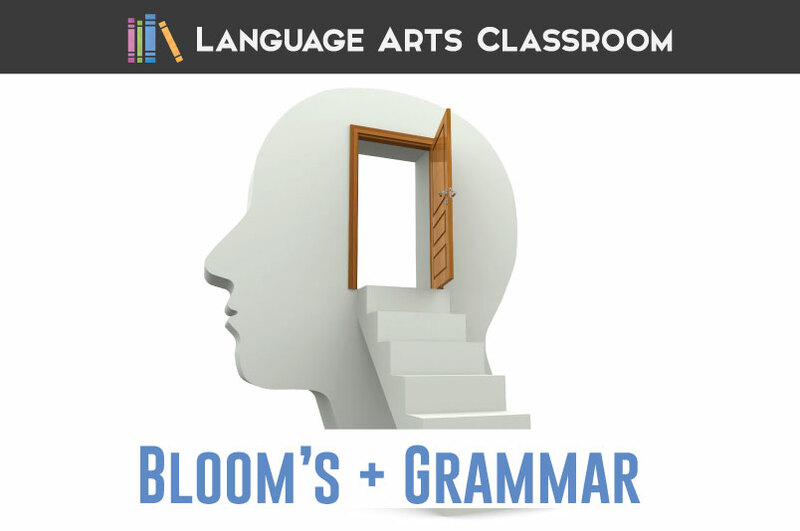 But after reading your article on grammar lessons using Blooms’, I have a clarity at least better than before. 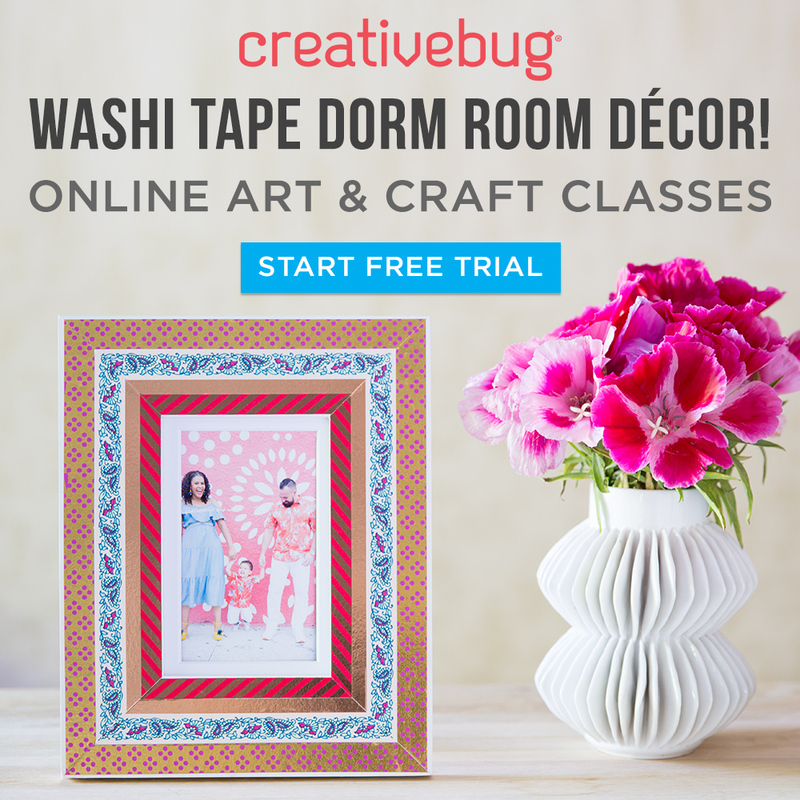 I have downloaded the worksheets and can’t wait to use them! Thanks a ton. Wonderful! I’m so glad to help! I’ve been teaching relative clauses subject (who, that, which), whose, object (who, that, which) to my intermediate level class. We learn English as a foreign language in Indonesia so it’s a little bit difficult to teach them. I’d like to know whether you could give me some advice regarding making exercises from the easiest ones to the most difficult. Hi Tantry. Unfortunately, I have never taught ESL. I fear I would give advice that wasn’t helpful. I belong to several grammar groups on Facebook and there are many ESL groups. Would something like that help you?